Yeah, this is how I ended up today - browsing through sales at net-a-porter, knowing I won't be able to afford a thing till I'm 30 years old and looking at all those designer things I can only dream about. Whatever, although the holidays have just started (YAYYY FOR THE FIRST DAY OF JULY!) I began thinking about a perfect backpack for the 'back to school season' (how weird I am?) 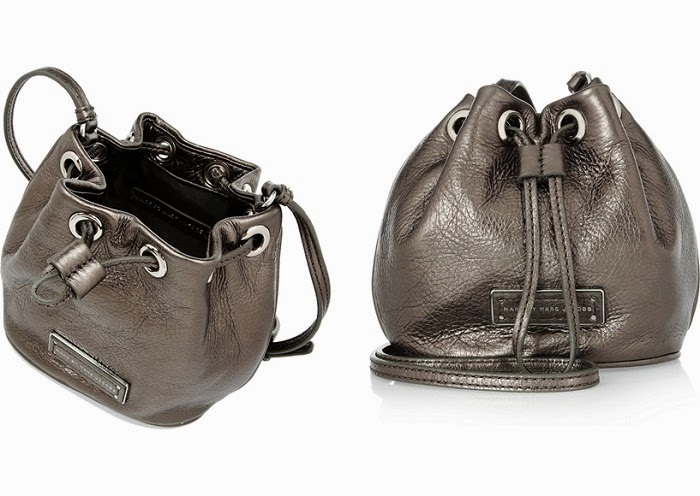 and spotted thins Marc by Marc Jacobs metallic leather one. It's on a sale and costs 150 $ now, here's the link if you want to see it on their site. How perfect is it?